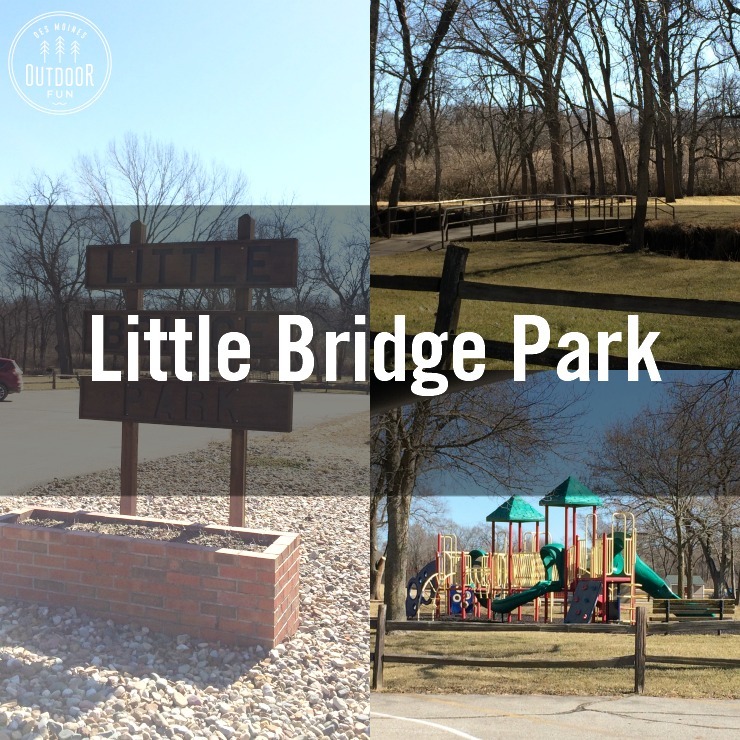 I saw a sign for Little Bridge Park in De Soto, Iowa on our way down to Winterset and thought we’d stop by and take a peek! I just snapped some pictures from my car – this park would be a fun stopping point to catch some fresh and we’ll stop by to explore more sometime soon. It had a lot of open space and a cute little bridge, a nice playground, and covered shelter for a picnic. 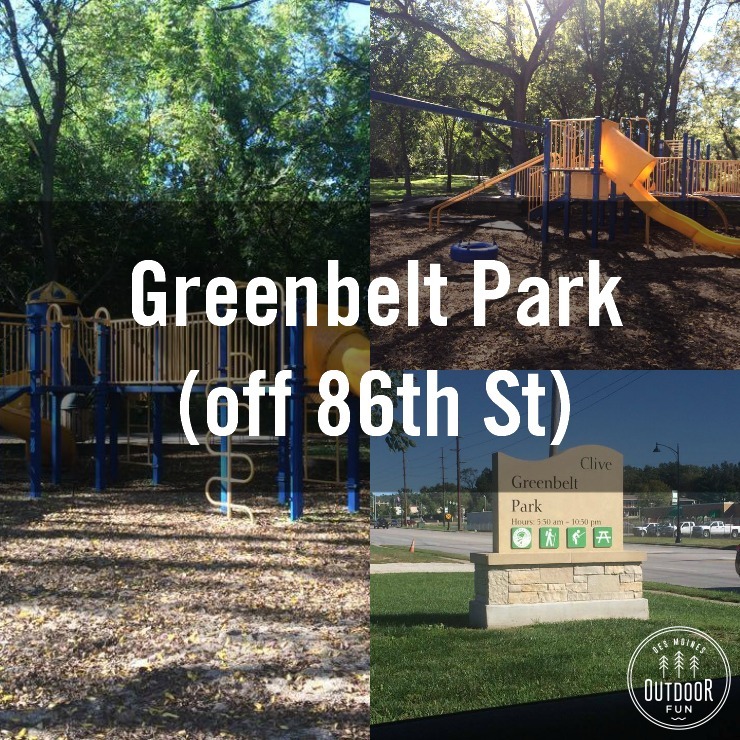 We enjoyed our recent visit to a beautiful, lush trail and playground at the Greenbelt Park in Clive, Iowa! 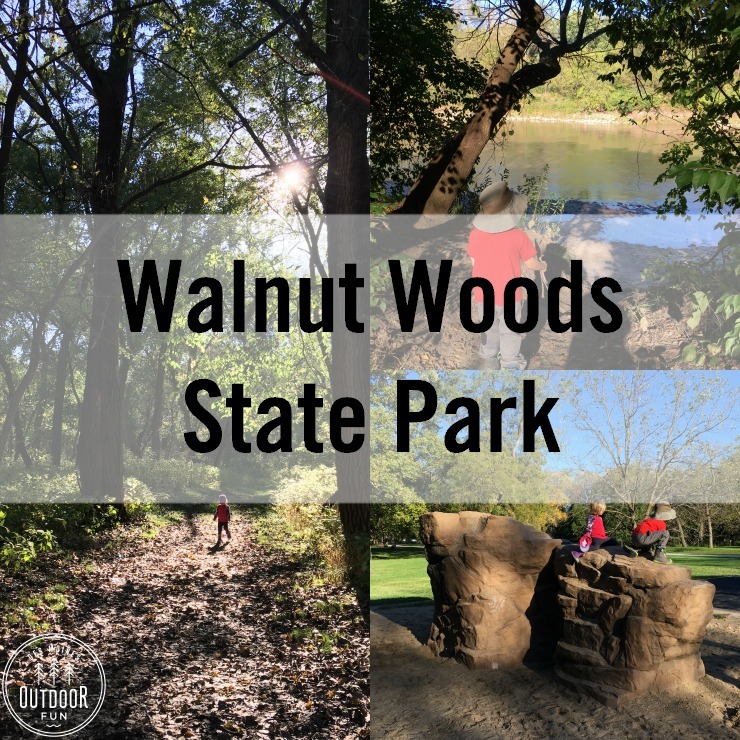 If you live in the Western suburbs, this is a great spot to pop in for a quick shot of nature. 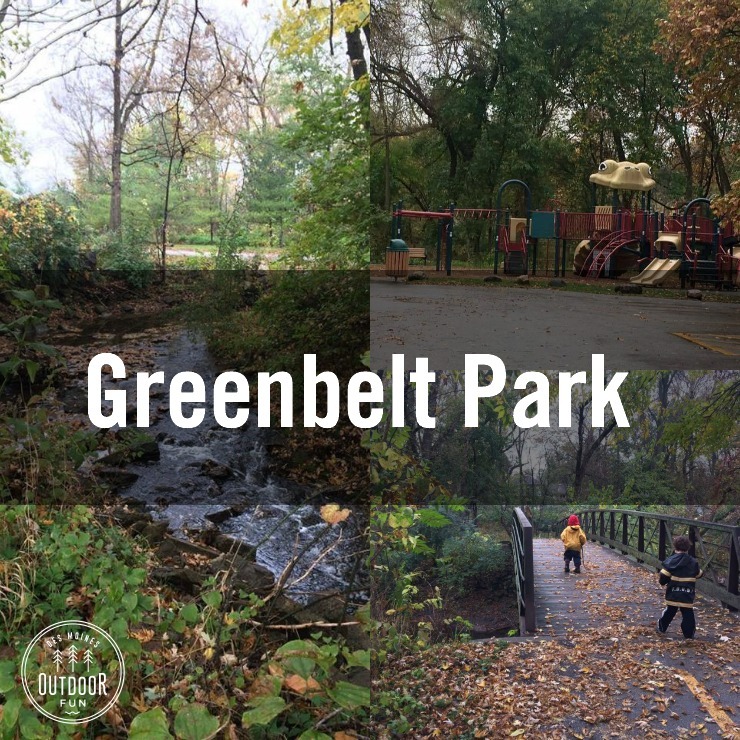 You can see more specific details on the Greenbelt Park page or check out its location on the interactive map. 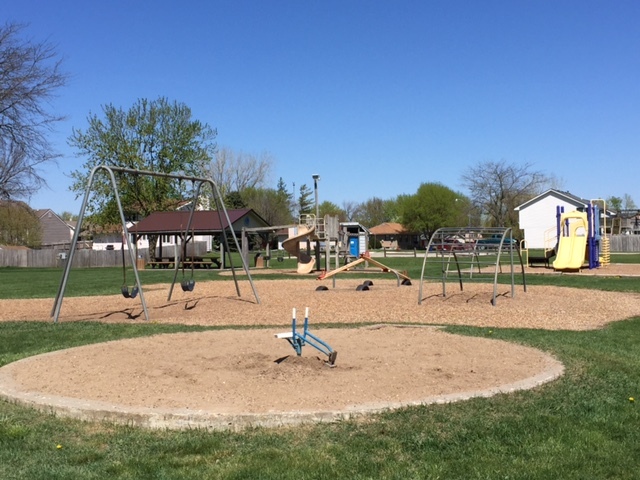 Lions Park has lots to climb and play on, with sand and open grass areas to run.